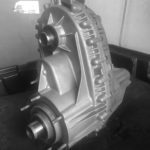 For over a decade midwest transmission distributors has been providing quality auto repair services and parts to the world. We also offer fast and affordable discount auto repair, used engine repairs, transmission repairs and installation on-site at our state-of-the-art facility. With certified mechanics, the highest quality tools and a dedication to reliability and trust we want to help you save money in your time of need. When your car or truck breaks down it’s not fun. In fact it’s one of the most stressful parts of life. If your car is not operating correctly or safely things get very scary very fast. How do you get to work? How you transport your kids to daycare when your car doesn’t start? How do you know what your payment is fair and that someone is not taking advantage of your situation? In fact there are so many questions and unaccountable’s. you don’t want to get burned by cheap auto repair so you really need to stick close to home to be safe. 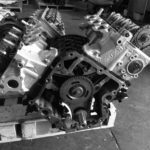 A local transmission shop here in Arizona would be much more apt to do a better job of repairing your broken engine, transmission or parts than someone that you have to drive a long ways to. The reason being is that they don’t want you coming back complaining and unsatisfied. so they will do the work right the first time.This form of checks and balances definitely puts Midwest Transmissions Distributors at the top of your auto repairs list. We are centrally located in Gilbert Arizona right off the 60 and we are minutes away from Phoenix, Mesa, Chandler, and Gilbert AZ. We know how to fix cars and trucks fast. We know how to fix engines we know how to fix transmissions we know how to install everything and since we are a wholesale supplier of parts to the nation you not only save on your labor but on the auto replacement parts as well. Let us help you get back on the road for a fair price. Need a 700r4 by Tuesday? You got it. How about a quantity 12 4l60e’s shipped to each of your shops? We got them and they are ready to ship out today via our expedited freight partners. Need a Guarantee we got those too. We know rebuilding inside and out. 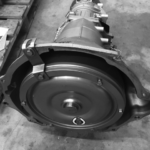 We have been in the business of rebuilding and installing new and remanufactured parts for over 15 years and have over 500,000 happy customers to show for it. We are America’s premier transmission repair shop and look forward to supplying you with quality parts. Always check your fluid to ensure proper lubrication. The transmission fluid level and condition. With the engine idling, and the vehicle in park, remove the auto trans. dipstick and wipe it out with a paper towel. Then place it in all the way and remove again. This will show you the accurate level of fluid in your transmission if it is too low add more immediately. If you see metal shavings you have something that needs to be fixed.